I wanted a vegetable dish for my birthday dinner to go with my Mughal lamb and rice dishes. My family really likes saag paneer, which has become my go-to dish for Indian meals. The only ingredient in modern Indian cuisine that would have been uncommon 500 years ago is tomatoes. This is a meal that started with a bottle of pickles. Jan went to the Maker Faire and came back with a jar of McVicker Pickles curried cauliflower. Chicken curry seemed like a good dish to go with them. I am making a Goan Dinner this Sunday. For those of my diners that are avoiding simple carbs, like rice, I wanted to provide a more complex carbohydrate option. 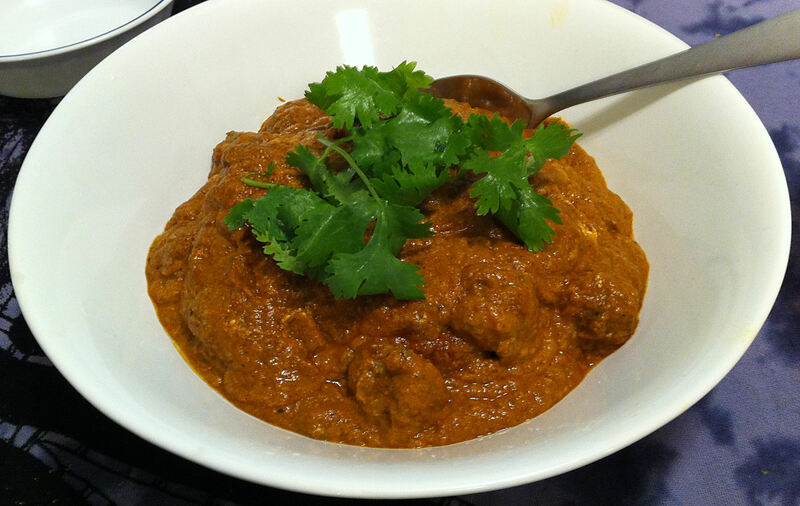 I looked at several recipes, but many of them seemed more generally Indian, rather than Goan. 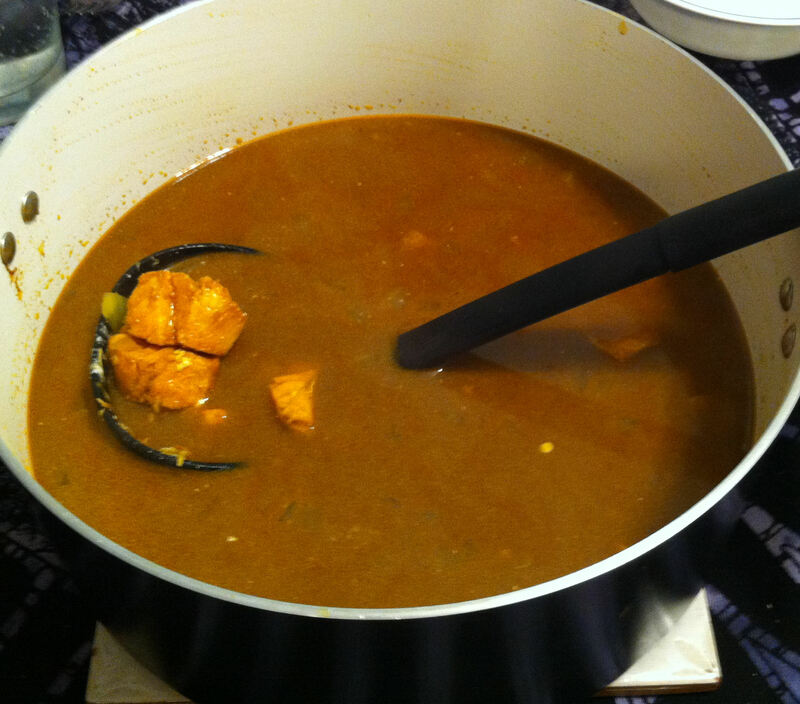 I freely adapted from one of the Goan recipes to create my own. Jan has a potluck today and most of the other people signed up for meat dishes. Jan thought that there should be at least one vegetarian option. I suggested saag paneer, greens with cheese. A few day ago I posted a berry hand pie recipe. One of my followers asked if I had done a savory pie with this dough. 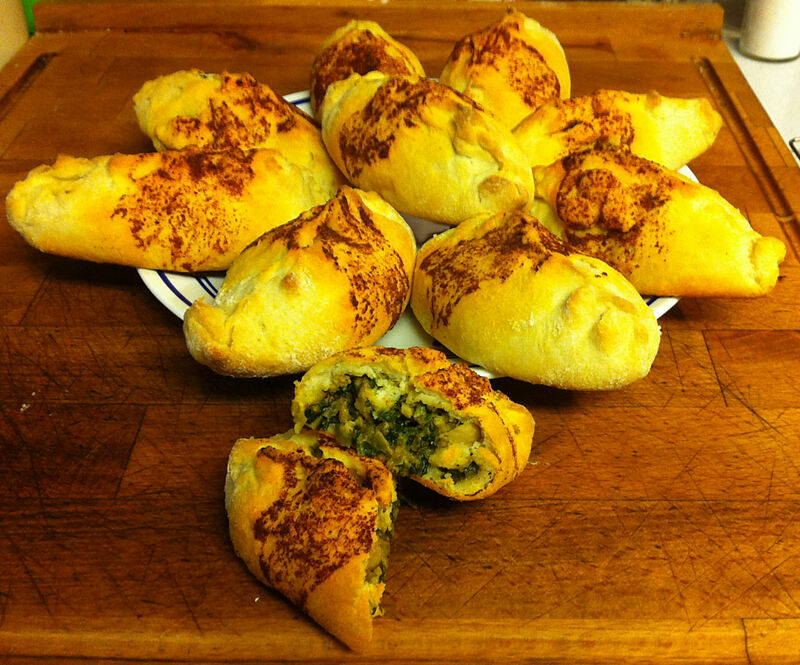 While I sent her links to my pocket breads with a raised doughs—bierock, taco, and baozi—I thought, “Why not?” I decided to do a California Fusion chicken curry in a biscuit dough hand pie.